Why is Brown so often seen as out of touch with ordinary people whilst Cameron and Blair (who was educated at Fettes where fees are £22,326 a year, equal to median annual earnings ... ) are regarded as in touch? In view of the likely political fallout, it is worth emphasising that the London bombs did not fail because of identity cards or extra police powers or CCTV cameras. They failed because of ordinary people going about their business and keeping their eyes open. SECOND ACTIVIST: What's the matter, Tarquin? FIRST ACTIVIST: I wish I knew where the Liberal Democrat headquarters were in Ealing Southall and how to get there. SECOND ACTIVIST: Sigh no longer: it's here. SECOND ACTIVIST: Here. You just click with your mouse. FIRST ACTIVIST: How do I click with my mouse? We're on stage. SECOND ACTIVIST: This doesn't really work as a play, does it? The idea of your parents would accompanying you when you went for interview at university would have seemed laughable - literally laughable - when I was in the sixth form. Yes, times change and in a comment on my original posting Tabman offered some ideas on why they have changed in this case. But such change should make us guard against simple-minded assertions that children grow up more quickly these days. Shropshire Wildlife Trust has urged the Government to stop building on flood plains in a bid to stop future river misery. The Trust says the current crisis stems from years of building on flood plains, and over-reliance on man-made flood defences and the removal of wetlands which can act as natural sponges, soaking up water and slowing it down in times of flooding. With all the talent available, why Fearne Cotton? For a moment or two I thought Gordon Brown had made her a minister. Today's House Points column from Liberal Democrat News. I was afraid that by the time it appeared someone would have broken ranks and accepted a ministerial post under Brown. Fortunately for me and for the party, it did not happen. But I share Norfolk Blogger's doubts about even those advisory posts. I chose quite a week to go on holiday. Reading the papers, I half expected to find a telephone message from Gordon Brown waiting for me at home. Would I like a peerage and did I fancy taking over from Ben Bradshaw as Minister for Fish? The way our parliamentarians resisted Brown's overtures speaks volumes for the Liberal Democrats' discipline and common purpose. It is the Conservatives who have proved flaky at the edges with the defection of Quentin Davies. It has no bedrock. It exists on shifting sands. A sense of mission has been replaced by a PR agenda.Although you have many positive qualities you have three, superficiality, unreliability and an apparent lack of any clear convictions, which in my view ought to exclude you from the position of national leadership to which you aspire. This line of attack has one clear merit: the claims it makes are patently true. "Superficiality, unreliability and an apparent lack of any clear convictions" brings us naturally to Harriet Harman. Her tactic of winning John Cruddas's second preferences by implying she shared his views on Iraq, then disowning them the day she was elected, shocks even in this cynical age. But she does have previous: the champion of women's rights who cut benefits for single mothers; the former star of the National Council for Civil Liberties who now backs identity cards. In this naughty world Menzies Campbell's integrity shines like a good deed. I was pleased he tackled the issue of his age: "Politics would benefit from more people with experience. If more experienced politicians had taken the decisions, we might not be mired in the conflict that we see in Iraq today." I never trusted the idea of "putting the zing into Ming": better to let him be what he is. Which would not be a bad idea for Harriet Harman or Quentin Davies either. I am not at all convinced by Alistair Darling as Chancellor. For me, the best Chancellors were the ones who were strong political personalities in their own right - Roy Jenkins, Nigel Lawson, Ken Clarke, Brown himself. "We have witnessed the biggest rescue effort in peacetime Britain by our emergency services and it's not over yet." I wonder if this is right. The Eastern Daily Press website has a very good feature on the East Coast floods of 1953 which, I suspect, were far more serious than any we are experiencing at the moment. Incidentally, Wells railway station - which is pictured on the first page of the EDP feature - is now a pottery and secondhand bookshop. The line to Hunstanton never reopened after the floods. Have you ever heard MPs bleating like sheep in the chamber? Many years ago, as parliamentary sketchwriter for The Times, I was astonished at the sound from the Labour benches when a little-known Tory backbencher rose. So it was odd that Davies chose to sit next to Kali Mountford when he took his place on the Labour benches. Whatever her virtues as MP for Colne Valley, she does look remarkably like a sheep. I have written before about my political hero John William "Paddy" Logan, who was Liberal MP for Harborough in the good old days. It seems he has another claim to fame. His health was poor in later life because of a hunting accident and he resigned as an MP on two occasions. As a result, I suspect he is the only person to have been appointed as both Steward of the Manor of Northcote and Steward of the Chiltern Hundreds. He was appointed to the former post in 1904 and to the latter in 1916. I have not been through the two lists to make sure, but I would be surprised if anyone else has achieved this distinction. Have the Tories given up? Liberal Democrat Voice reports that the Lib Dems are already geared up for the Ealing Southall and Sedgefield by-elections. It is confirmed that Blair will be quitting as Sedgefield's MP. That'll stretch the LibDems' by-election operation. Indeed it will. But what about the Tory by-election operation? Aren't they even going to try to win these contests? Mrs Thatcher won by-elections in some very unlikely seats in the years leading up to her victory in 1979. If they are hoping to win the next general election, they should be looking to do the same now. Tory defectors: Where are they now? Quentin Davies is the fifth Tory MP to cross the floor to Labour in the past 12 years. Can you name the previous four without looking them up? Anyway, the Daily Telegraph's Little and Large blog looks at what happened to them after they joined the Labour Party. Bugger, I thought I was in with a chance of winning this one. Instead it goes to Harry Calder, the only person to be chosen as one of Wisden's Cricketers of the Year without every playing a first class game. In 1918 and 1919 five Cricketers of the Year were chosen, but they were all public school boys. One of them was Calder, chosen in the 1918 edition, who had taken a lot of wickets for Cranleigh with his spin bowling. But Harry Calder, unlike the other nine lads (who included the future England captain A. P. F. Chapman), did not go on to play a single first-class game. Calder went back to South Africa with his family when he left school. 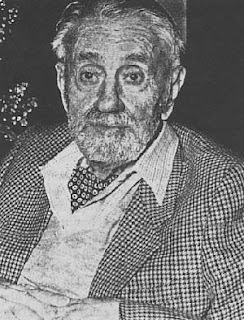 He was not tracked down until 1994, the year before his death, when the cricket historian Robert Brooke traced him to a nursing home in Cape Town. Calder said he had not known of the honour and had not played cricket since school, more than three-quarters of a century earlier. At time of his death, says the Wisden site, Calder was the oldest surviving Cricketer of the Year. Calm yourself, Elspeth, I am talking about Ming's speech today. Sir Menzies, 66, said he would "absolutely" make his age an issue in the battle with Mr Brown and Tory leader David Cameron. "Politics would benefit from more people with experience," he said in a speech to party staff. "If more experienced politicians had taken the decisions, we might not be mired in the conflict that we see in Iraq today." This must surely be a better approach than the attempts to "put the zing into Ming" that I complained about in the Guardian last year. I have used a chess metaphor when discussing Lib Dem leadership matters before, so let's try another. There is an old Russian proverb that their chess writers were fond of quoting: "He who says A must say B." They used it in the sense that if you had, say, committed yourself to an attack then you had to carry on with it when things got difficult, perhaps by sacrificing material, rather than look for an easy way out. So having elected an older leader, the Liberal Democrats have to make the best of his qualities not pretend that he is something he isn't. Tom Griffin's blog The Green Ribbon has put together what he believes to be the timeline of recent negotiations between Labour and the Liberal Democrats. The party of the workers? As Tim Worstall reminds us, the niece of the late Countess of Longford has just been elected to the deputy leadership of the Labour Party. She defeated a former postman who was orphaned at 12 and left school at 15. Have you got your sporran licence yet? Here is another in my occasional series of English curiosities: an inland lighthouse from Lincolnshire. Manning and Waldheim both died while I was away on holiday. One was a performer who enjoyed fame in the 1970s but whose racist views put him increasingly beyond the pale. The other was a distinguished comedian and club-owner. This week's selection of the best in British blogging comes to you live from, er, Belgium. I have a habit these days of taking classic novels on holiday, starting them and then abandoning them in favour of lighter works picked up in a secondhand bookshops. This time I took Howard's End by E. M. Forster with me, though of course I read David Boyle's Leaves the World to Darkness on the journey to Norfolk. In a lifetime of business activity he managed to convert this modest fortune of £2,400,000 into a debt of $2 billion. Is this the sign of a good businessman? When I ask why the beautiful and blameless Elizabeth stayed with such a ruffian for so long, my ever-practical wife suggests that she was hoping to get her money back. Despite having spent the last week on holiday in Norfolk, I have not been idle on your behalf. It turns out that Lord Saville, who is conducting the extraordinarily long-running inquiry into the events of Bloody Sunday, is a nephew of the children's writer (and hero of this blog) Malcolm Saville. Today's House Points column from the pages of Liberal Democrat News. The practice of offering a sacrifice to placate angry gods or avert natural disaster is deeply ingrained in the human psyche. Back in the Middle Ages, if a town was threatened by a dragon the authorities would leave a goat or a virgin outside the walls to keep it sweet. It’s hard to avoid the conclusion that this sort of magical thinking accounts for the willingness of so many Labour back-benchers to give up our historic liberties in the face of terrorism. Some ministers, it is true, never liked those liberties in the first place. John Reid was happy to be a member of the Communist Party years after Soviet tanks had rolled into Hungary and Czechoslovakia and all the decent people had left it. But the average Labour back-bencher seems to reason that if we give up something we value, they reason, then we shall be safe. These days, however, goats are aware of their rights and it is harder to find a virgin, so they have to find something else to sacrifice when they feel threatened. And they give up our civil liberties instead. Take Anne Snelgrove - and in all honesty Labour back-benchers to not come much more average. She has been MP for Swindon South for two years now, but the only time she has come to public notice outside Wiltshire was when Private Eye awarded her the Order of the Brown Nose after she told the House "there is a great deal of pride in … the country about the role that the Deputy Prime Minister has played". On Monday she was equally obsequious. John Reid was under fire for his plans to extend the time suspects can be detained without charge. Then Snelgrove got up to ask her question. Some of her constituents, she said, are concerned about travelling to London and other cities because they are afraid of terrorist attacks. What about their rights? Have they been consulted? It’s true there are a lot of timid people in the country, and maybe they deserve some representation in Parliament. But, faced with these exaggerated fears, shouldn’t an MP be calming them? You fear Snelgrove really does believe that sacrificing what we cherish most about our society will keep the dragons away. It seems that the Greens are just as given to careerism as any other political party. The Brighton Argus reports that Caroline Lucas MEP is attempting to muscle in on Keith Taylor's patch. The local councillor has built Brighton Pavilion up into the Green Party's best prospect, achieving 21.9 per cent at the last general election. Thanks to The Daily (Maybe). Johnson’s title, education secretary, is something of a misnomer. He seems to have no interest in education as such. His preoccupation is with using the classroom to transmit the latest and most fashionable prejudices. He can’t even leave school sports alone, recently announcing that PE lessons will now stress the importance of a healthy lifestyle and will raise awareness about the problem of obesity. So after children have received instruction on how to behave as green consumers, learned crucial parenting skills and feel very British, they’ll be taught how and why to lose weight. A curriculum devoted to a total makeover has little energy left for dealing with such secondary issues as how to gain children’s interest in real education. The Gatwick pole dancer: What a whopper! A 100,000ft pole dancer is currently greeting air passengers flying in to Gatwick. 100,000 feet? There are 1760 yards in a mile, which makes 5280 feet. So 100,000 feet is nearly 19 miles. Somehow I doubt the figure of the pole dancer is quite that big. What do they teach them in schools nowadays? This blog is not without influence. Rorty's death was one of those stories that spread in cyberspace for some time before the newspapers took it up. One of the reasons for Rorty's popularity, and the esteem in which he was held, was his lucidity as a writer; even in technical works for an academic audience, he was at pains to spell out his analyses clearly, and not to duck their consequences. This alone made him stand out from almost all other writers and philosophers who adopted postmodernism. Craig Murray's blog has been down for a couple of days. We were worried that he had been spirited away to Guantanamo Bay. The most important rift in British politics today is not between left and right, it is between authoritarians and libertarians, between those who support human and civil rights, and those who prefer "Strong government". This fault line coincides closely with those who support, and those who oppose, the Iraq war, largely because both issues depend on the prior question "Is might always right?". I therefore have much more in common with the Mail and Mr Wheeler, with Ken Clarke, Malcolm Rifkind, Peter Hitchens and Michael Ancram than I do with John Reid, Gordon Brown, or Michael White. This question of liberty is a prior question - without liberty, you're not allowed to disagree over economics. That is what poor, deluded Polly Toynbee has failed to grasp in her view that we should support Blair, no matter how many countries he invades or people he kills, because of his allegedly good child poverty policies. Our parties are still structured around an economic fault, so now that authoritarianism has become the more crucial dividing line, they are all split. New Labour less so, because it has become a career vehicle of those attracted simply to personal power and wealth. It is fascinating how the old hard left of different varieties of communist - John Reid, Christopher Hitchens, David Aaronovitch, Melanie Phillips and their like - have taken so avidly to the new order. Of course, they never believed in liberty anyway. The Tories are - as Wheeler notes in his article - perhaps the most split. Every instinct of Ming Campbell is with the authoritarians; strangely that is true of most Lib Dem MPs, but few of their activists. I think he grossly overstates his case when it comes to Ming and the Liberal Democrats, but his central point is surely correct. Incidentally, Bloggerheads is back too. Dragonflies floated silently above the water's edge. Bumble bees buzzed from dog rose to convolvulus. Freshly-paired waterfowl paddled between the reedbeds. Were it not for the excavators digging the foundations of the new Aquatic Centre on the opposite bank, it would have been hard to imagine that this was central London at all. But this won't be an overgrown rural idyll for much longer. By 2012 this towpath will have been swept away to make room for the Park's central walkway, and crossed by the main "land bridge" between Stratford City and the Olympic Stadium. And, I fear, it'll only be a few select visitors who'll ever remember the living waterway that once existed here. Niles's Blog informs us that the Sheriff of Nottingham has a bath in his office at the city's Council House. It trust it will soon be stolen so that the downtrodden peasants of Sherwood Forest can use it instead. For as long as I can remember, people have been calling for the return of the bobby on the beat. At last it has been done - in Shropshire, naturally. This article suggests that the idea is proving a success, even if the major crime problem in Much Wenlock appears to be orchid rustling. My wife comes from Shropshire. Not since they brought in this new community policing scheme. Foreign armed police may be needed for the 2012 London Olympics because there are not enough British officers trained to use firearms. Metropolitan Police Commissioner Sir Ian Blair told a Metropolitan Police Authority (MPA) meeting it may be too expensive to train British policemen. 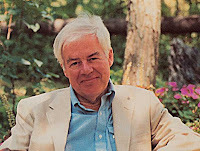 The Telos website reports that the American liberal philosopher Richard Rorty died on Friday. I recommend Rorty's Contingency, Irony, and Solidarity as one of the best examinations of what it means to be a liberal in the modern world. It consists largely of discussions of writers such as Orwell and Nabokov. Rorty is normally seen as one of the trendier postmodern philosophers, questioning our notions of truth. But if I am honest I like this book because it represents a rather old-fashioned sort of literary criticism. Rorty still believed that good novels can tell us important things about the world and how we should live our lives. Award-winning caravan sales company Salop Leisure reported a 70 per cent increase in sales on last year at its annual Spring Holiday Home Show in Shrewsbury. Visitor numbers also rose by 20 per cent compared to 2006, as the show - held at the company’s multi-million-pound sales centre alongside Shrewsbury bypass at Emstrey Island - attracted customers from Scotland to London. But why is this so interesting? The show was opened by Welsh Liberal Democrat Leader Lembit Opik and his girlfriend Cheeky Girl Gabriela Irimia who revealed plans to spend a holiday in either a motorhome or caravan this summer. So well done to both of them. “I had not thought about the idea of a holiday in a caravan or a motorhome before, but now I have seen both I really want to,” said Gabriela. Montgomeryshire MP Mr Opik described the show as “an exceptional one-stop shop for caravanning”. If Lembit can really say "exceptional one-stop shop" my admiration for him has grown even greater. While we are on the subject of polar bears, you may be interested in knowing how Knut is getting on. When you are thinking of the causes of global warming, do not overlook the influence of the House of Commons. A major debate can produce enough hot air to wipe out an entire colony of polar bears. Things are not that much better during the long recesses. If you could wander through the deserted offices you would find the annunciator screens - the numerous television sets placed around Westminster which announce the business of the two houses - still switched on and showing the message “House adjourned”. One MP with a chance of doing something about this is Nick Harvey. He is a member of the House of Commons Commission, the body that does things like maintain the fabric of the building and employ Commons staff. As its spokesman, uniquely for a Liberal Democrat, he gets to answer questions in the House as well as ask them. On Monday, as half a dozen bears looked on anxiously from the public gallery, discussion turned to this waste of energy - not just the screens but electric lights too. Nick urged members to turn them off when they were not needed. The Tory Andrew Robathan suggested a more technological solution. He wanted “modern techniques of switching off lights” that “operate on infra-red”. Ah, replied Nick, but these have already been tried, notably in Portcullis House, the new block across Westminster Bridge Road. It turned out there had been “many complaints from hon. Members working late in the evening that they were plunged into darkness sitting at their desks because they had not moved sufficiently to trigger the infra-red light sensors”. The new logo is startling but, once you get tuned into it, rather good, capturing a whiff of the edginess that makes London such an interesting city. Rather than pandering to the absurd illusion that our capital is a British Barcelona or Sydney, the designers have looked to the jagged shapes and garish colours of graffiti artists. 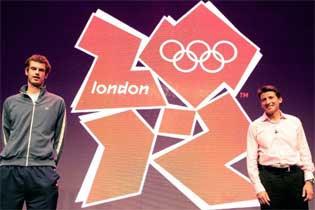 The message conveyed is that London 2012 is represented better by awkward youthful dynamism than by plump corporate dreariness. What is that message? It seems to be "Welcome to London. We are obviously not in the same league as Barcelona or Sydney, but we do have a lot of low-level crime like graffiti." If we have so little affection for our own culture and history, why should we expect anyone else to like us? A badger has been thrown off Springwatch after being heard making derogatory remarks about weasels. "We are not prepared to put up with that sort of language," said an angry Bill Oddie. But it will be a bit odd if new arrivals have to clear a series of hurdles - language and history exams, voluntary service requirements - that those born here do not. Why should they be more British than the British? Happily, there's a simple solution: make everyone pass the same test. What does Freedland propose doing with those of us who fail the test? Ban us from voting? Deport us? Send us to New Labour re-education camps? The boy who migrated from Albania and knows his roundheads from his cavaliers might pass while the lad born in Birmingham might fail. I am old-fashioned enough to believe that people should know their roundheads from their cavaliers and it is true that immigrant communities often cleave to such a view of education. But if the lad born in Birmingham doesn't know his Prince Rupert from his Ireton, whose fault is it? Certainly not his. Surely it is the fault of those who taught him or run the schools? Behind Freedman's article I sense a growing New Labour impatience with the white working class. Spending on education and health has hugely increased, yet its members still eat the wrong food, smoke and drink too much. They remain racist, sexist and quite possibly istist too. Time, as Brecht suggested, to dissolve the people and elect another. Last year Iain Dale and Guido Fawkes put together The Little Red Book of New Labour Sleaze. It was written by the nation's bloggers, your humble servant included, largely over the course of one weekend. Now they are publishing an expaned version as, naturally enough, The Big Red Book of New Labour Sleaze. Paul Keres, Arvo Pärt, Lembit Öpik... your boys took a hell of a beating. Nothing funny at all. Dear me, no. Iain Dale is on a roll tonight, with two great stories about our prime minister in waiting. First, a rather amusing one about a photo opportunity on the London Underground. Then something far more sinister about new anti-terrorism powers. "He is no better, he is much the same." Why is the Olympic logo so bad? It seems that everyone agrees the new London Olympic logo is awful - and not just those of us who see it as Lisa Simpson doing something very rude. My theory is that it suffers from the modern paranoia about offending people. Or rather the "more right on than thou" games that are played on right-thinking committees. Whether anyone out there is really offended is often a different matter. You might think that an athlete of some sort might be a good logo. But should that figure me male or female? able-bodied or disabled? which race should it come from? What if you tried to make all these points ambiguous but failed? Best not to go there. So let's think about Britain. What comes to mind then is red, white and blue. But that also conjours up the Union Jack and the Empire, so best not to go there either. The games are in London, so that should be safe. But even then there are no landmarks used. The best the logo can manage is an apologetic lower case. It sort of says 2012, but presumably in a clumsy enough way not to offend those who employ different - but equally valid - calendars to our own. "Rowdy students are causing problems on buses. But whose job is it to control them?" asks the front page of the Guardian website. If you read the story you find that it is not about students at all but schoolchildren. Perhaps this unwillingness to treat children as children is one of the causes of their bad behaviour? As one of its "experts", the story quotes the director of "Belt Up School Kids". If the only way we can control our children these days is to tie them up, things are even worse than I thought. The prize has to go to Dr Glorioso from the University of Pittsburgh. While congratulating him, I must question the utility of his research. If a rat is impotent, isn't it better to leave it that way? No, I don't understand Hooting Yard either, but this posting points the way to two interviews with the great man. It seems it is not only Labour politicians who feel compelled to blur the truth about their education. Andrew Lloyd Webber’s sequel to The Phantom Of The Opera is one of theatreland’s most anticipated events. But, I can reveal, a bizarre mishap means that it is likely to be longer than expected before it reaches the stage. Lloyd Webber, 59, was working on the score at his computerised grand piano when his six-month-old kitten Otto clambered into its frame and managed to delete everything he had written so far. Note too the story about Lembit and Welshpool railway station lower down the page. My House Points column from today's Liberal Democrat News. Details of how to subscribe to the party's weekly newspaper are here. Until Tuesday the most remarkable thing about Graham Brady was his resemblance to Harry Enfield's Tim Nice-But-Dim. Now Brady looks nice, dim and principled after resigning over his party change of education policy. David Willetts was right when he said that grammar schools are dominated by the middle classes. But he could have added that the same is true of the best church schools and comprehensives too. And it is true in spades of private schools. It must have been galling for a grammar school product like Brady to be lectured on social equality by David Cameron. For Cameron's circle is dominated by Old Etonians to an extent which would have made even Harold McMillan blanch. This is the real problem in education. What can we do about it? It is would be impossible to ban private education under the European Convention on Human Rights. Even if it were possible, wealthy families would happily send their children abroad to be educated. The candidates in the Labour deputy leadership have been talking about the charitable status many private schools enjoy. In many cases it is hard to see why they should , but removing it would make them even more exclusive. So we are left with using charitable status as a lever to persuade private schools to share their facilities, in the way that Alan Johnson has been advocating. It does not sound like much of a solution. Now both Labour and the Conservatives are putting their faith in the Academy programme as a way of making good education more widely available. But there is little evidence to support their faith. What, I wonder, is the Liberal Democrats’ solution? Craig Murray has posted a fascinating long article on Russia, with particular reference to the murder of Alexander Litvinenko. Certainly worth a read. Another article on his site begins well by arguing that "Blair is no democrat". Unfortunately it then descends into attacks upon Nicol Stephen and Menzies Campbell. So I certainly shan't be providing a link to it.